England. She completed her Pediatric Surgery Fellowship at The Children's Hospital of Oklahoma, in Oklahoma City, OK. Dr. Markley is certified by The American Board of Surgery, in both pediatric and adult general surgery. She is a member of The American Pediatric Surgical Association and a Fellow of both The American College of Surgeons and The American Academy of Pediatrics. She is the Pediatric Trauma Medical Director at Broward General Medical Center. 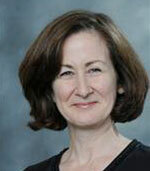 Dr. Markley has multiple publications in peer-reviewed medical journals and has presented her work at National as well as International Meetings of her peers. subsequently completed a two year fellowship specialty training in Pediatric Surgery at Miami Children's Hospital. 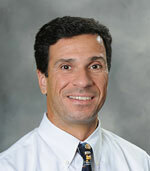 Dr Puglisi is Board Certified by the American Board of Surgery and is a Fellow of the American College of Surgeons. He is a member of the AOA Medical Honor Society as well as several other adult and pediatric medical societies. Dr. Puglisi has multiple publications in peer-reviewed medical journals and has presented papers at National and International meetings. Fellowship at The Hospital for Sick Children in Toronto, Canada. 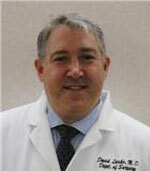 Dr. Lasko is certified by The American Board of Surgery, in pediatric and adult general surgery. He is a member of several professional societies in both adult and pediatric surgery. Dr. Lasko has authored multiple publications in peer-reviewed medical journals and book chapters and has presented his work at national and internal meetings of pediatric surgeons and surgical scientists. his General Surgery Residency at Jewish Hospital in Cincinnati, Ohio and at St. Joseph's Hospital in Denver, Colorado. He did his Pediatric Surgical Fellowship at what is now called Miami Children's Hospital. It was called Variety Children's Hospital at the time. He also served as instructor in Pediatric Surgery after completing his Fellowship. He is certified by the American Board of Surgery in both General and Pediatric Surgery. He is a member of the American Pediatric Surgical Association. 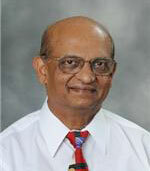 He is a Fellow of the American College of Surgeons and a Fellow of the American Academy of Pediatrics. Dr. Puranik is the first Pediatric Surgeon in Broward County, Florida. He started his practice in 1977. He has multiple publications in peer-reviewed medical journals.